From Newbery Honor and Coretta Scott King Author Award winner Renée Watson comes a captivating and poignant coming-of-age urban novel about sisters, friends, and what it means to embrace change. 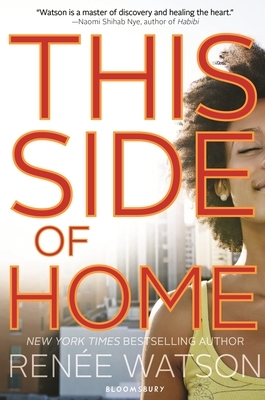 As their Portland neighborhood goes from rough-and-tumble to up-and-coming, Maya feels her connection to Nikki and their community slipping away. Nikki spends more time at trendy coffee shops than backyard barbecues, and their new high school principal is more committed to erasing the neighborhood’s "ghetto" reputation than honoring its history. Home doesn’t feel like home anymore. As Maya struggles to hold on to her black heritage, she begins to wonder with whom--or where--she belongs. Does growing up have to mean growing apart?